A painful and dangerous problem, many sufferers ask about food for constipation relief. There are many different substances to eat and drink that will ease the difficulties and prevent recurrence. People who suffer from constipation pass three or less bowel movements each week. It is also considered constipation if your bowel movements are painful and produce dry or hard stool. Thankfully there are many types of food for constipation relief that can be incorporated easily into your diet. This is important because the fiber that you eat will attach itself to food and waste in your body, helping to move it along in digestion through to the bowel movement. If you don’t have enough fiber, the system gets bogged down and clogged up, resulting in constipation. 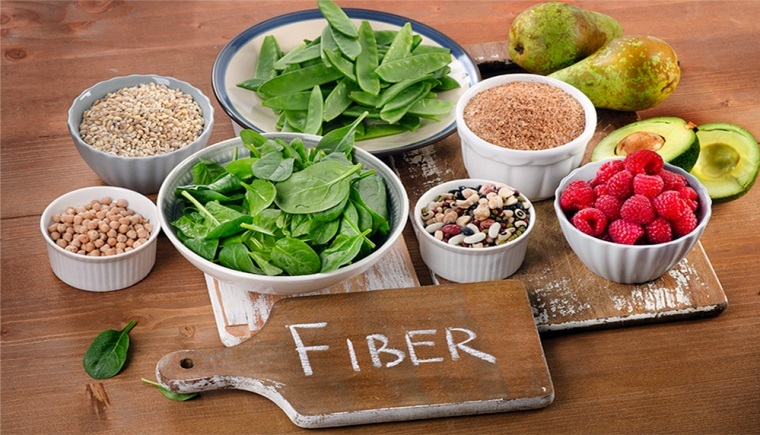 Fiber occurs naturally in many different foods, including whole grains, fresh fruit and vegetables. Check food labels to discover their fiber content. Focus on more whole or raw foods, as cooking can decrease the content somewhat. In the breads and cereal department, try to choose whole wheat and whole grain products more often. Opt for brown rice over white rice and breakfast cereals that contain at least 3 or more grams of fiber per serving. Serve brown or whole wheat bread to your family; the nutty and dense taste will grow on them. Also, whole grains have much more nutritional value than process or bleached products such as white flour. Don’t forget beans as an excellent source of soluble fiber. When choosing vegetables, look for dark, leafy varieties such as spinach. Try to eat vegetables raw, but if cooking them either from frozen or a can will get them into your diet, do so. Using too much butter or salt won’t help with constipation either. The more vegetables that you eat, the more fiber your diet will contain. Also consume plenty of fruits and leave the skins on for even higher content. Besides the nutrients found in fruits and vegetables, they contain decent amounts of fiber. Keep bowls of fruit out for convenience and slice up vegetables regularly to have handy in the fridge for snacking. Don’t forget to drink plenty of water. The adage of eight cups of water per day is a good one to follow for constipation relief. Make water a regular part of your day by carrying fresh water with you for on the go thirst. Opt for a glass before your meal and you will also help to control your appetite. Water plays an important role in the fight against constipation, absorbing the fiber which then makes your stool softer, allowing it to pass easier and more frequently. Limit your consumption of other drinks that may dehydrate you, such as coffee and soda. Traditional foods for constipation relief, such as prunes or figs, are also good options. Both can be found in juice form or can be eaten as a dried snack. If constipation is an ongoing problem for you, incorporate regular amounts of figs and prunes into your diet for constant relief. Prunes contain both insoluble and soluble fibers, a double dose of constipation relief. Avoiding certain foods that lead to constipation can also help. Dairy products, fried food, products high in sugar and red meat may all contribute to constipation. Eliminate or limit these types of food for constipation prevention. Try to maintain a good level of exercise. This helps to relieve and prevent episodes of constipation, as well as adding to your general well being. Always head to the bathroom promptly when you feel the need to have a bowel movement. Putting it off will eventually lead to the discomfort and pain associated with constipation. Good digestive health involves eating the right foods, drinking plenty of water and adding daily exercise to your life. Once you have implemented these changes, constipation should be only a memory.